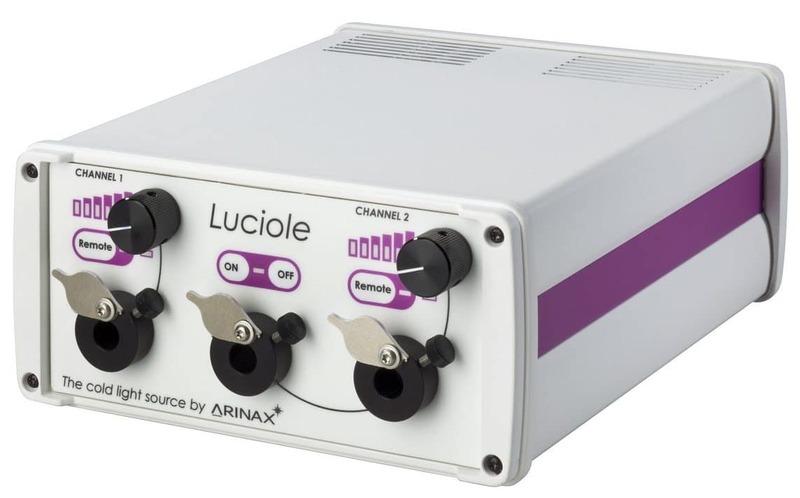 Luciole is the new Arinax solution for protein crystallography to light up your crystal without heat emission in the crystal environment. 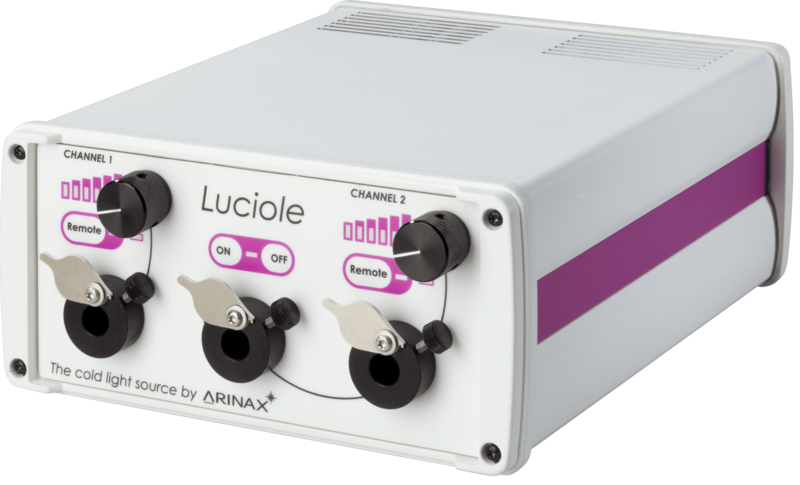 Luciole is supplied with CrystalDirect® and Arinax diffractometers, MD2-S and MD3. 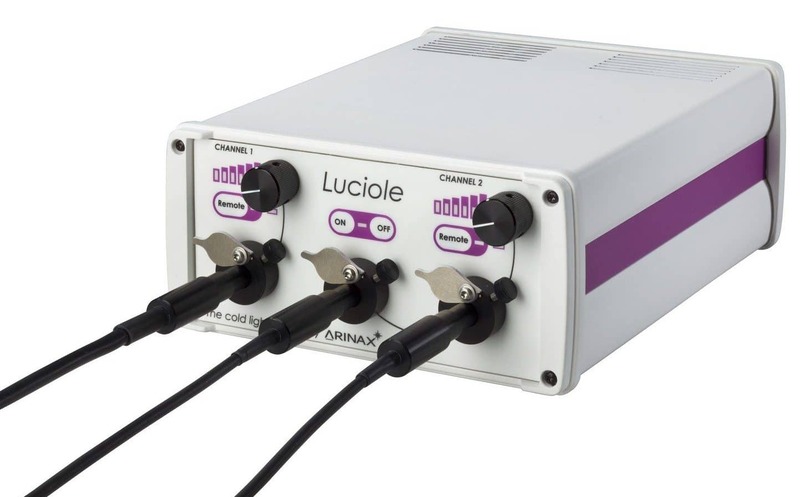 Luciole Cold Light Source (CLS) combines high flux LED lighting with fiber optic technology for perfect sample illumination with minimized sample heating. Each of the three available channels produces a luminous flux of 1050 Lm that is conveyed by fiber optics with 9 mm maximal active light guide. This way, Luciole CLS illuminates crystals without producing heat degradation. The control channel 1 controls 1 independent light source. The control channel 2 controls 2 light sources, providing a dual lighting with the same luminous flux for both sources. The two control channels are remotely controlled independently: the light intensity can be adjusted continuously, from 0 to 100%, with a very fine resolution (20.000 steps) giving exceptional sample illumination for all applications in research and automation. 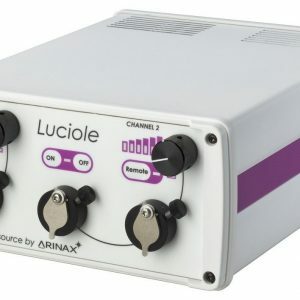 Luciole has 3 remote control modes: analog, RS 232 & Ethernet. If needed, Luciole can also be controlled manually. MD2-S & MD3 diffractometers integrate the famous patented OAV developed by the European Molecular Biology Laboratory (EMBL) that offers parallax free sample visualization for in situ perfect alignment to the x-ray beam. 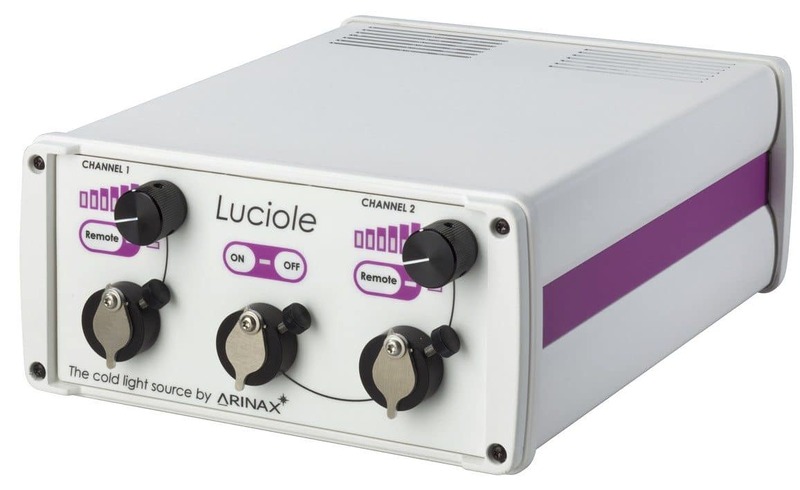 The Luciole-CLS is fully compatible with the OAV, which is able to condense light delivered by Luciole-CLS, giving excellent condition for sample visualization. What is a “cold light source”? A cold light source refers to a light source that doesn’t produce heat emission. Classical light sources, like those produced by halogen, emit heat that degrades protein crystals, changing its organization or breaking its 3D conformation. For this reason, a cold light source is highly recommended in protein crystallography.